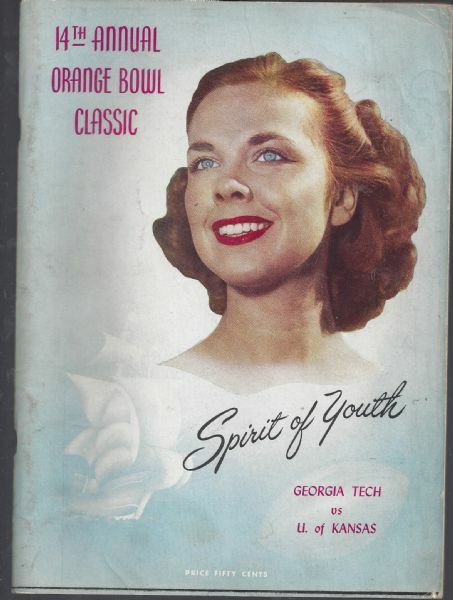 1948 Orange Bowl (Georgia Tech vs. Kansas) Classic Official Game Program. 1/1/48 at Orange Bowl Stadium. Full and complete. Center roster page is loose but present. Ex condition.